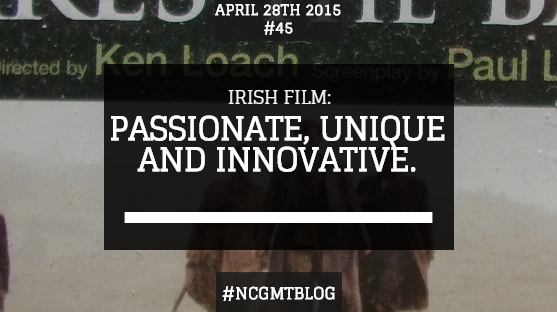 I remember posting about Irish film twice before on this blog. Once when talking about my interest and passion in film, the other when promoting Cartoon Saloon’s beautiful work. 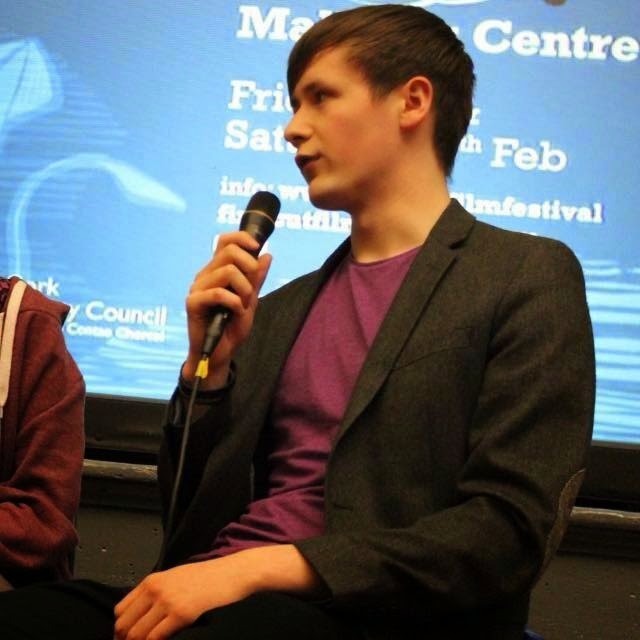 Luke Morgan from Oughterard Co Galway's film is an example of a young passionate Irish filmmaker. His short film "Pockets", a five minute monologue about "empty nest" syndrome has been selected for the prestigious Cannes Film Festival, on May 15th. Luke is only 20 years old. He's a published poet, writer and is in his fourth year in GMIT (Galway- Mayo Institute of Technology's Centre for Creative Arts and Media) I repeat, 20 years old. We are not short of talent in this country. I have watched two young filmmakers growing in strength for the past three years. Eoin Corbett and Adam O' Dwyer. I have so much admiration for these two young men. I also have a bit of healthy jealousy, for one they have an impressive amount of film equipment that I would love to get my hands on, secondly they are extremely good at what they do. (I am actually very hard to please when it comes to film, honestly these two are very good). I remember them uploading little videos to Youtube. Now they are winning awards at film festivals, winning prizes that will have them going to New York. They are passionate. Something I really like about these two is they are so grateful for the all the support. 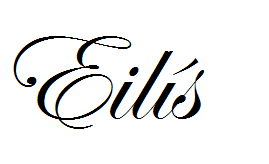 I've noted that they are extremely down to earth, despite their amazing success. Any time I've interacted with them via Twitter they've been absolutely lovely. I've no doubt they're the same in person. I've loved watch them improve as film makers, the more they learn they incorporate into their work and it really shows! I am really excited any time I see them post on Facebook about their success at film festivals and completing projects. “Honestly, I kind of fell into filmmaking. I remember being at Adam O'Dwyer's house and we came across the webcam on his laptop. A few hours later and we had put together a video. The video was absolutely terrible but that wasn't the point. We enjoyed it and so we continued making videos. After a while we started uploading them to YouTube. A few years later and we had built up a bit of an audience and filmmaking is all I wanted to do. Now, nothing much has changed. My next project is always on my mind and I can't wait to get my Leaving Cert out of the way so I can really focus on making films. I think that the filmmaking industry in Ireland is really strong. There are a lot of hugely talented people in this country producing some extraordinary stuff. I recently attended the Fresh Film Festival in Limerick where one of my documentaries was being shown and I was absolutely blown away by the quality of the films. 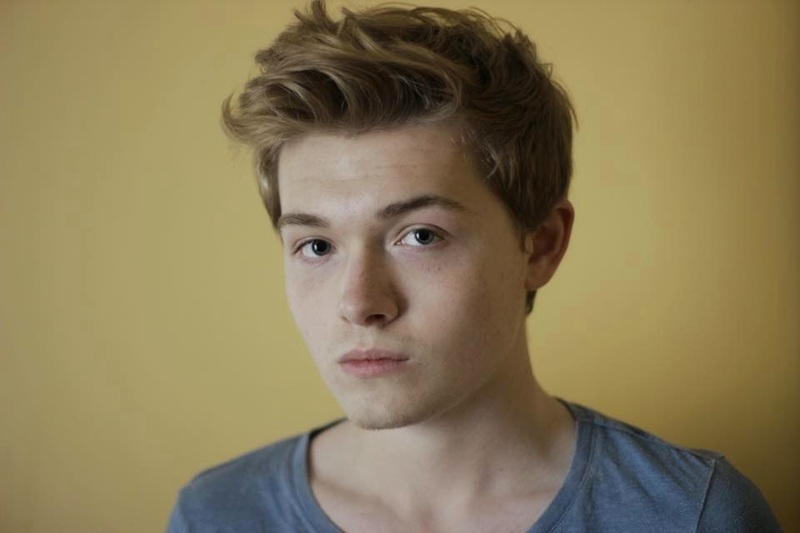 I think the future of filmmaking in Ireland is going to be stronger than ever” – Eoin Corbett (19). "Creativity is so easy to come by in Ireland. I feel like storytelling comes naturally to Irish people because it's sort of a part of our culture. Filmmaking is essentially storytelling and if that's what you love to do then nothing can stop you. Except maybe the weather. The film industry here is small and tight knit but the quality of content produced is just amazing. Filmmakers are getting younger and better every few years. I believe that the Irish film industry is going to continue to grow and rival the worlds best film producers like North America, Germany, France and the UK. People jokingly say to me sometimes to "remember me when you're in Hollywood." I’m not sure if I'll ever work in Hollywood because the Irish film industry is where the innovation is currently happening – Adam O' Dwyer (18). Both of them are currently in their final year in secondary school and preparing for their Leaving Certs. I really hope to meet them both someday, or work with them. I can see them going far, simply because they are extremely driven. hardworking, intelligent and willing to learn. Key qualities for a good film maker in my opinion. I would not be surprised if I saw them at the IFTA's in the next few years. I'll be behind them all the way and sharing their work when I can. Adam's short film "Silent Keys"
Eoin's Documentary "Internet Addiction and Me". Ireland is rich with those with talents in film making. 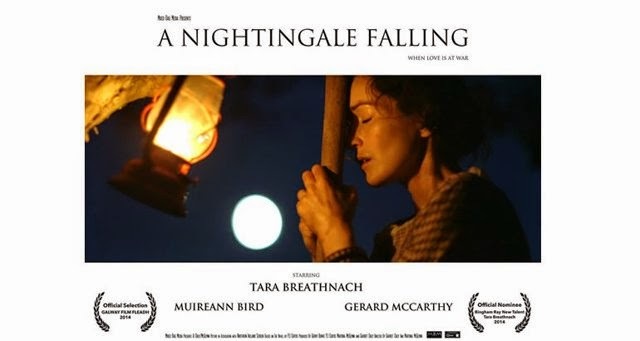 (Irish Film Institute) IFI Spotlight annually discusses Irish films and television. Visit the Irish Film Institute – in the Temple Bar Area of Dublin! A brilliant Irish website called Scannain always promote Irish films, check out their Facebook. 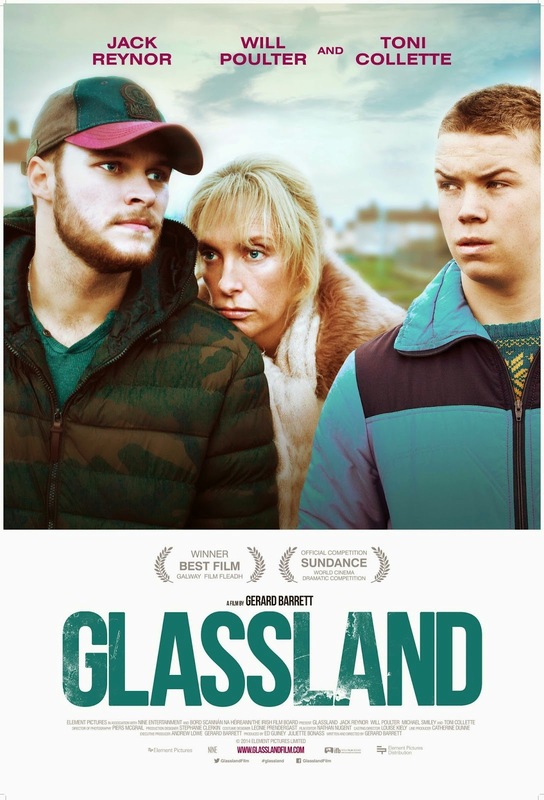 Why make films in Ireland? Obviously the word biased is going to be thrown around when I make my point. But genuinely, think of the positives. We have an absolutely beautiful landscape. The west coast of Ireland is absolutely stunning. 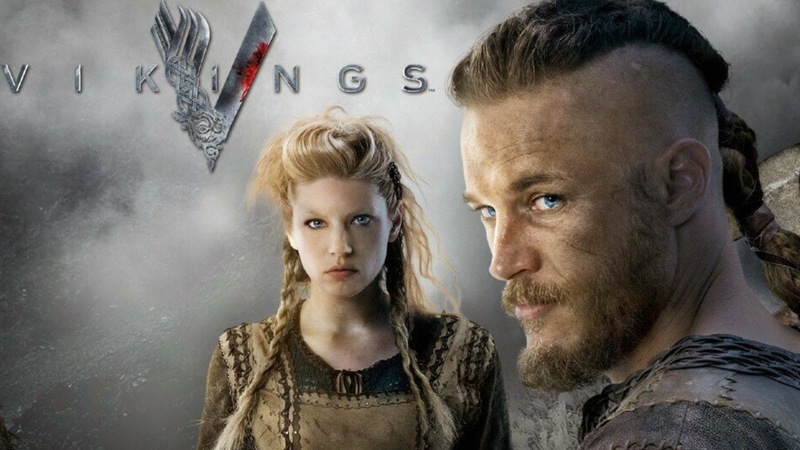 Northern Ireland is where internationally popular television series "Game of Thrones" is filmed. 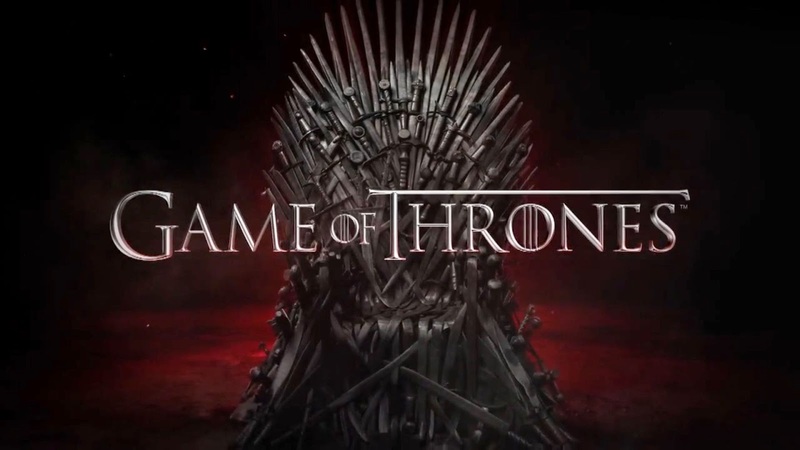 Game of Thrones, partially filmed in Northern Ireland. We have two major film studios here. Ardmore studios and Ashford studios. The Irish have a natural talent for storytelling. We have so many legends from the past. Our ancestors created beautiful works of art, many of which still exist today. The Irish film industry is unique because it doesn’t have that Hollywood taint. We make use of our own talented musicians, artists, producers, directors, and beautiful country to create our films. 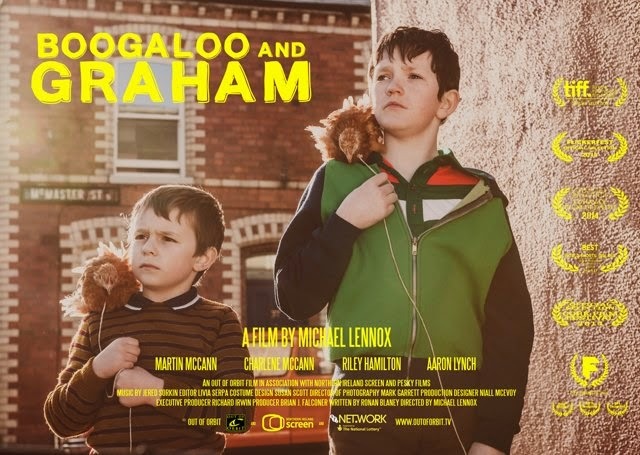 "Boogaloo and Graham" Northern Irish film (2014). Honestly, I would promote Irish film and the people in the industry day and night. Why? Because they deserve more recognition. A film I grew up watching was Jim Sheridan’s “Into The West” or “In America”. I only recently rediscovered “Into The West” and it was so beautiful, honest and heart breaking. I have watched films such as "What Richard Did", "Garage", "The Butcher Boy", "My Left Foot", "The Wind That Shakes The Barley", "Once", "Michael Collins", "Calvary", "The Field", "The Secret of Kells", "War of the Buttons", "Perrier's Bounty" and "In America" and SO many more. All of which are richly diverse and unique in their own way. (An Irish film to look out for is "Brooklyn" which will star my favourite actress, Saoirse Ronan). We need to help promote Irish film. Do whatever you can! A simple tweet can go a long way. Cartoon Saloon are regularly nominated for Oscars, I want to see them win, instead of the Hollywood films. The more unique films should be celebrated, not the same generic films that are released year after year.If you are interested in film, go for it. Please do. Whatever age you are. Make a film with your friends, use a little camera. They may be awful at first but you will improve. If you want to work in film, be it in front or behind the camera, I really encourage you to do so! I am always so excited when I come across new Irish directors, actors and films. The Corona Fastnet Short Film Festival. Film Riot - tutorials for filmmakers. Filmnet - resource centre for Irish filmmakers.